Each year Toyota of Rockwall helps the foundation celebrate Royse City ISD teachers of the year with six-month lease cars. This has brought an extra level of excitement to the RCISD staff appreciation program. Thank you Steve & Barbara Jackson for being so generous! 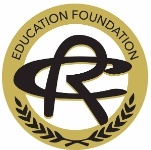 At the foundation, we believe all RCISD staff play a part in the education of a child. Because of that belief at the RCISD staff appreciation celebration the foundation also recognizes RCISD Bus Driver of the Year, Custodian of the Year, Food Service Staff of the Year, Maintenance Staff of the Year, Technology Staff of the Year and The Peggy Webb Support Staff of the Year for their outstanding contribution.